Discover the highlights of Paris and the charming scenery, rich cultural heritage, and gastronomy of the Loire Valley. 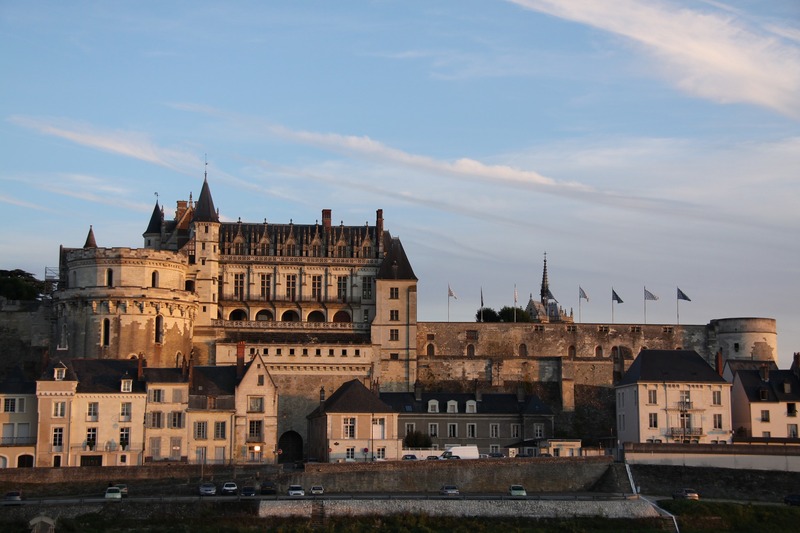 Visit famous historical sights, important châteaux, and enjoy the local cuisine and wines. 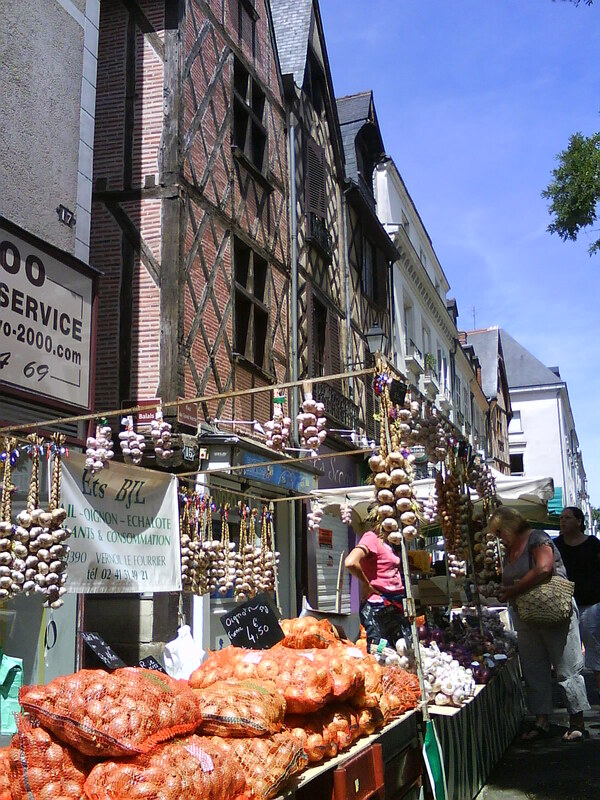 In Tours, a knowledgeable local guide will take you to a traditional French market to shop for the best seasonal ingredients, then invite you back to her home to prepare them and experience a real French meal together. 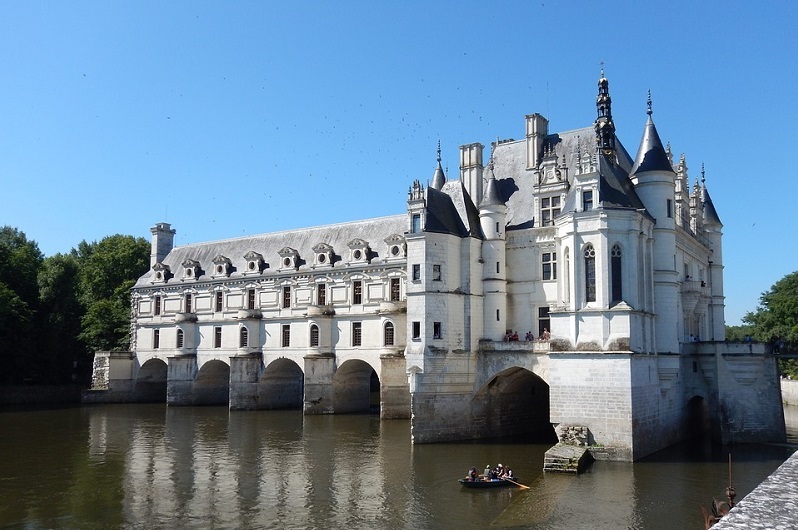 You’ll also have the opportunity to cycle around the Château de Chenonceau, learn about Leonardo da Vinci's inventions at the Château du Clos Lucé, and walk through the Château de Villandry’s many gardens. 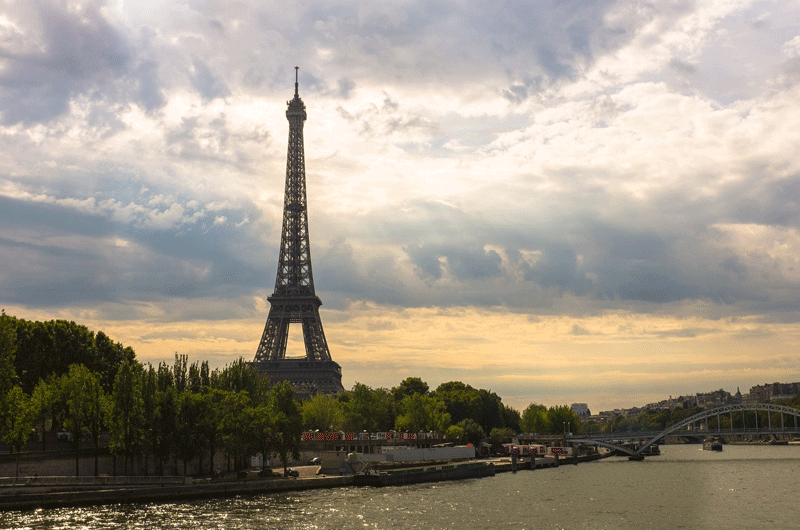 In Paris the Eiffel Tower, Notre Dame Cathedral, and the Louvre Museum await you. Stroll through the medieval Latin Quarter, making regular stops to taste famous French foods including foie gras, wine, cheese, and bread. You’ll also get a private tour of one of Paris’s best-kept secrets, the passages couverts. These covered shopping arcades boast elegant architecture, boutiques, restaurants, galleries, and cafés that are missed by the ordinary visitor. 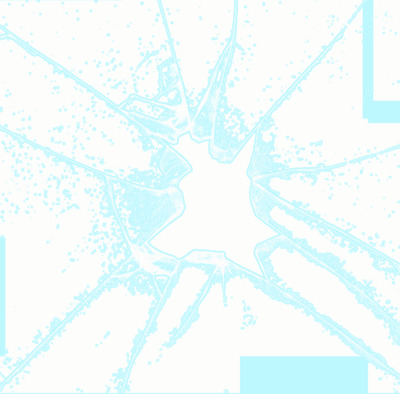 Commentaries in French and English - Service arising of sharing economy. The Château du Clos Lucé in Amboise is a relatively small 15th-Century palace. It was the childhood home of King François I, but it is much more famous for being where Leonardo da Vinci spent his final three years as a guest of the king. Today the Château du Clos Lucé houses a museum about the life and work of Leonardo da Vinci. It contains models of his designs. A stroll through the large garden reveals additional models, art, and engineering projects inspired by the Renaissance legend. Visit the bedroom where Leonardo da Vinci died on May 2, 1519. According to tradition, the king was at his side. The chapel contains frescoes from Da Vinci’s pupils. You’ll also visit an 18th-Century living room, a Renaissance-era great hall, and the kitchens. All are furnished with period pieces and tapestries. The château houses working models of Leonardo da Vinci’s designs, ranging from engines of war to engineering equipment. The Château de Villandry is one of the Loire Valley's most impressive sites. 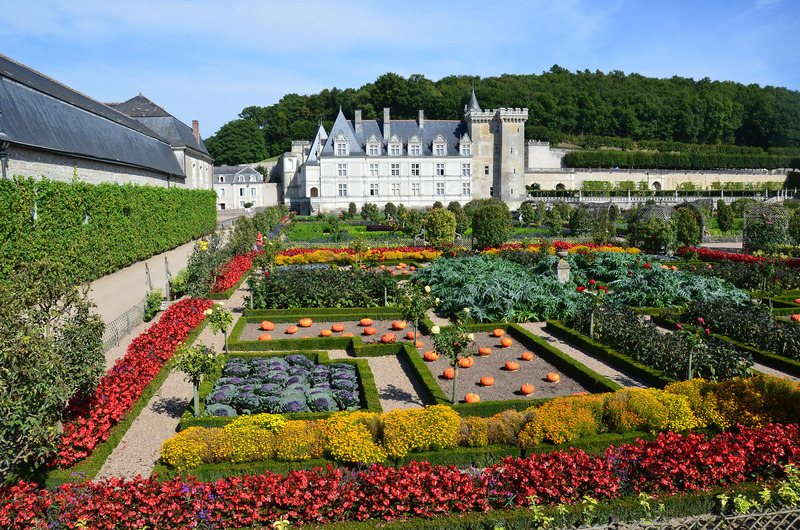 It is best known for its extensive gardens, which include a French-style formal garden, vegetable garden, ornamental garden, water garden, jardin du soleil, and herb garden. Villandry is noteworthy for being the last Renaissance castle to be built in the Loire Valley in the early 16th-century. You may visit the castle courtyard without entering the castle. The interior of the Château de Villandry is open to visitors. Most of the interior and -furniture dates to its 18th-century renovation. Highlights include the staircase, beautiful ceilings, and the views of the gardens. Your guide and host Cathy invites you to spend a day learning the art of living (and eating) in the Loire Valley. Your tour begins with a morning visit to the medieval center of Tours. This relaxed city delights visitors with its rich cultural heritage, traditional riverside cafés, and great shopping. Your host will show you a local market where you will taste and shop for the best seasonal products (cheese, charcuterie, and wine to name but a few ). After the market return with Cathy to her home in a neighboring village for a cooking class and lunch. She'll demonstrate how to make a real French meal, which may include coq au vin, goat cheese, apple tart, madeleines, Loire Valley wine, and more. After lunch, you can relax on the terrace, learn some basics of the French language, or explore a nearby château. Le Marais is one of Paris's jewels. Wander through its narrow cobbled-stone streets and you can trace centuries of French history through its monuments.. Le Marais is a historically Jewish Quarter. A detour to the Rue des Rosier to taste the falafel is highly recommended. You won't find a better one in Paris. If your curious about the neighborhood's Jewish history, there is a fine Jewish Museum nearby. This neighborhood is now a hub for local artists. You'll find trendy bars and galleries on every corner. It's a great place to go bargain hunting at boutiques and vintage shops for hip clothing. Art lovers will want to visit the recently refurbished and well-equipped Picasso Museum. The splendid Place des Vosges is the oldest square in Paris. It's the perfect place to take a break while appreciating the panorama of the royal building and elegant arcades. You’ll be spoiled for choice between magnificent historic monuments, museums, hip bars, trendy restaurants, elegant boutiques, and vintage shops! 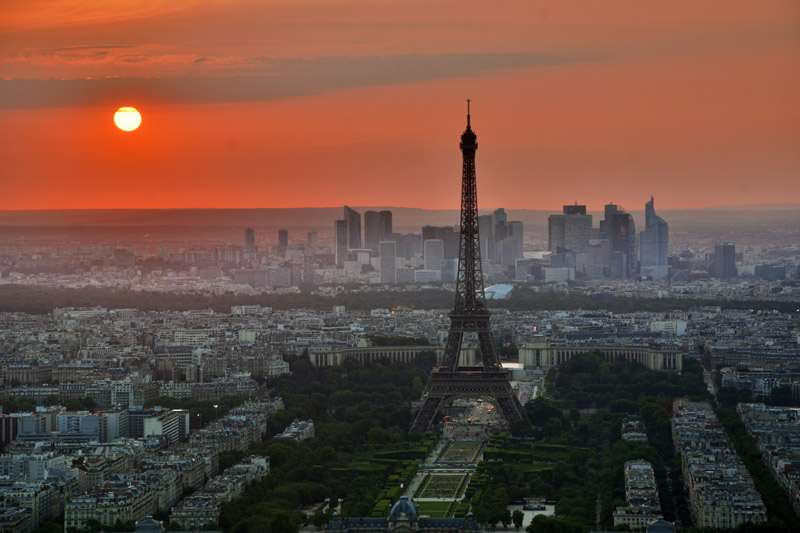 A chauffeur will meet you for a private transfer to your destination within Paris. Taste the best that Paris has to offer on this classic gourmet tour. Experience a variety of flavors and foods. You’ll have the opportunity to sample iconic French products and learn about the city from a knowledgeable guide. 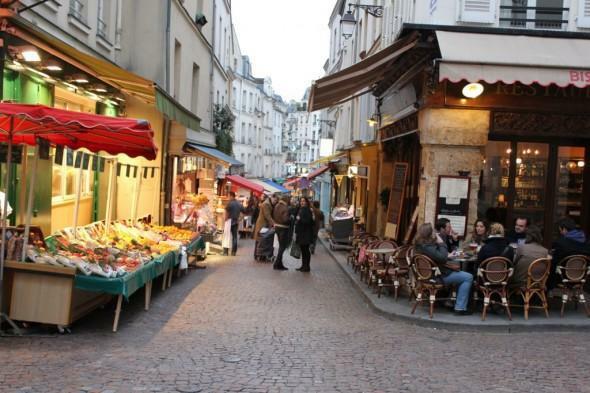 Explore the medieval part of the Latin Quarter, a neighborhood famous for the high quality and large choice of food products. This tour takes you to one of Paris’ most prestigious cheese shops, a unique bakery, and a wine shop to pair a glass of fine wine with foie gras. Along the way, discover some of the city’s best-known sites and some hidden nooks unknown to most visitors. This tour will satisfy your stomach and inspire your mind. Meeting point is in the Latin Quarter. Built between the 12th and the 14th century, Paris’s iconic cathedral was made famous by Victor Hugo's novel The Hunchback of Notre Dame. The imposing western facade looks out on the main square. Its three elaborately-decorated doorways are the Portal of Judgement depicting the end of the world, the Portal of Saint Anne featuring the Virgin Mary and child in a Romanesque style, and the Portal of the Virgin recounting the death and the coronation of Mary. Inside the light bursting through the stained-glass windows gives the cathedral a spiritual dimension. Take a moment to admire the three enormous rose windows. The south-facing window, the “Rose du Midi”, was a gift from Saint Louis, a 13th-century French king. Please note that respectful attire is required to visit the interior of the Cathedral of Notre Dame. Clothing should cover your knees and shoulders. Your guide will pick you up from your lodging in Paris for a skip-the-line tour of the world’s most popular museum. Also one of the world’s largest museums, it displays more than 35,000 objects from prehistory through the 19th century spread across more than 650,000 square feet (60,387 square meters) of gallery space. The Louvre Museum opened its doors to the public for the first time on August 10th, 1793 on the one-year anniversary of King Louis XVI’s death. Over 600 years the building was transformed from a medieval fortress to a Renaissance palace to a decadent symbol of the French monarchy and, finally, to its current form as a museum. Your guide will lead you through the galleries and explain many lives of this building. 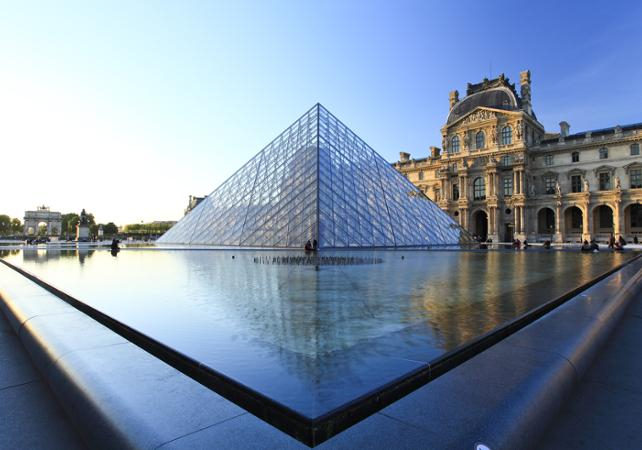 Together you’ll marvel at the building’s iconic glass pyramid and admire masterpieces from artists such as David, Géricault, Delacroix, and Leonardo da Vinci. You will see the most famous pieces: the Venus de Milo, the Winged Victory of Samothrace, and the Mona Lisa. At the end of the tour, you can continue to explore the museum independently. Only a few lucky visitors to Paris make it to the hidden passages couverts. These covered shopping arcades and passageways were the shopping malls of the 19th century. At the time only the most affluent ladies could afford to stroll up and down the passages in their fine gowns, indulging in window shopping, the new Parisian pastime. Many of these architectural beauties still exist today. Some have been restored to their former elegance and house exquisite boutiques, restaurants, art galleries, and cafés. Others are faded and remain unchanged after a century and a half. All of them are fascinating. Be sure to bring a camera. You’ll explore the secret passageways on the right bank on the Seine River close to the Louvre. A knowledgeable guide will entertain you with stories about life in 19th century Paris. Together you'll see five passages couverts which evoke those romantic, bygone days. A highlight is a glass of wine with the owners of a tucked-away, gourmet food shop. This is a true taste of 19th-century shopping!